Our book, to celebrate 125 years in business, is available now! 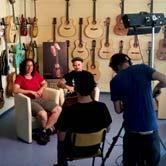 The Hofner Custom Shop is dedicated to creating high quality handmade limited edition guitars. 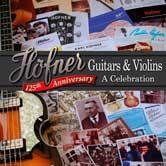 To celebrate the 125th anniversary of Hofner we've introduced a new hollow body electric guitar and four new 'Made in Germany' classical guitar models.